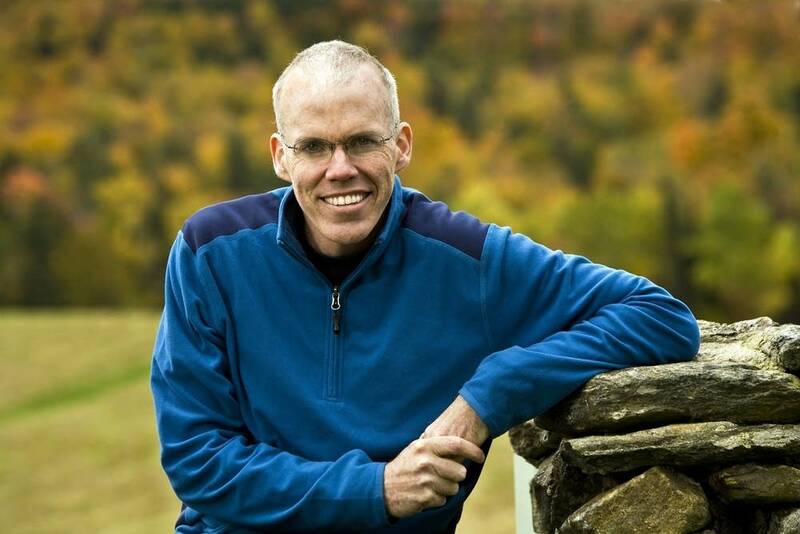 Bill McKibben sounded the alarm on climate change decades ago. The author and activist wrote the first mainstream book on climate science in 1989 and went on to create 350.org, one of the leading climate advocacy groups. Perhaps it was obvious he'd testify on behalf of three climate activists — the "valve turners" — on trial for trying to shut down an Enbridge tar sands oil pipeline in northern Minnesota. "The conventional ways of trying to get progress here are not working as well as they should," McKibben said, which is why people turn to activism. The protesters were ready to use a rare necessity defense in arguing they were justified in trying to shut the pipeline down, as climate change is more harmful than their protest. But the valve turners didn't get to use that argument and McKibben didn't testify on their behalf. In a surprising move, the judge acquitted the protesters due to insufficient evidence they'd damaged the pipeline. McKibben said it seems "odd" the case ended due to a lack of evidence. "It seems like they might have been able to figure that out a long time ago," he said. Nonetheless, McKibben believes actions like the valve turners' are crucial for the public in addressing climate change. He joined Climate Cast for an interview on Tuesday and reflected on the state of climate activism and its next steps. Scientists have been offering this warning for 30 years and what's happened. We've reached the point where the United States, historically the biggest emitter of carbon, has withdrawn from the Paris climate accords — the only international effort to get anything done. The 30-year campaign by the fossil fuel industry to misinform people has been pretty successful. Given all that, protest has been one of the few things that's actually managed to get anything done. Where we've made progress, it's because people have taken to the streets ... it's because people have done all the things that they shouldn't have to do. In a rational world, it wouldn't take people going to jail to get government to pay attention to a clear consensus warning from scientists that were facing the deepest problem we've ever faced. But in our world, a world poisoned by the power of the fossil fuel industry, apparently that's exactly what it takes. I think that civil disobedience is something that is part of the activist toolkit. Only a part. And it's not a tool you want to use all the time. Like any tool it gets dull if you use a very much. But there are moments when you have to underline the moral seriousness, the urgency of a problem. If we'd taken fairly modest steps 30 years ago — [for example] put a small price on carbon — that would have changed the trajectory of our energy use and now that we wouldn't have solved the problem yet we'd be well on the way. But since we didn't do a damn thing, now we're so deep in the hole that the changes we have to make are enormous. And that's why, for instance, the IPCC report was pretty clear that you can't just kind of tinker around the edges with a small price on carbon or something. At this at this point we have to treat it the way that our forebears treated things after Pearl Harbor was attacked or something. We need to go on an all-out footing if we're going to catch up with the physics of climate change. The most critical years [for addressing climate change] were the last 10 or maybe the 10 before that and we didn't do a darn thing. So now we better do it. ... We're not going to stop global warming at this point. That's not on the menu, but we may be able to stop it short of the point where it takes out civilizations. That's an open question now and it will depend on what happens in the next 10 years. If you look around at our political world, it's hard to be very optimistic not only in this country but in others as well at the moment. On the other hand, there is a great and enormous citizens movement, maybe the biggest ever, building all over the world now. 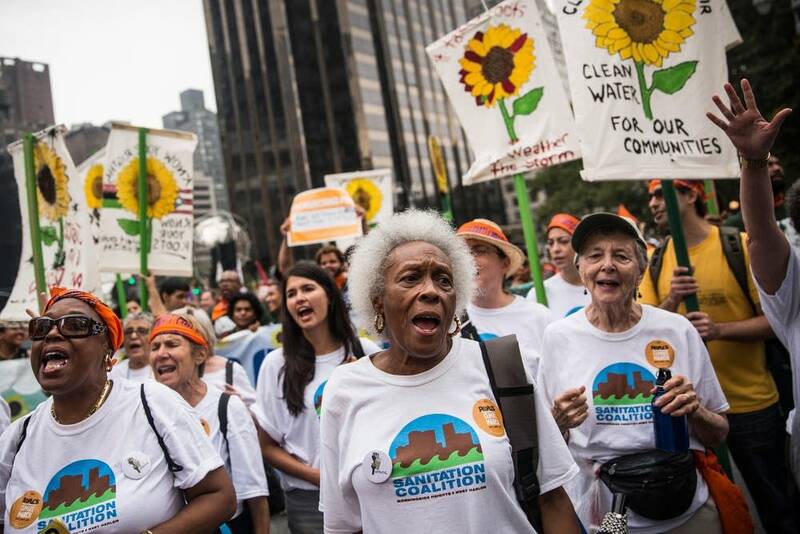 Even just a 350.org, we've organized demonstrations in 20,000 cities and towns over the last few years. People and institutions have now divested $7 trillion worth of capital from stocks and coal and oil and gas companies. We're beginning to put real pressure on. It's a fight between reason and science on the one hand and the money of the fossil fuel industry on the other. So far the fossil fuel industry is winning. But as more and more people throw their weight into these movements maybe, maybe we'll see progress start to come quickly. We have to find some way to match the incredible financial power of the oil and coal and gas guys. This is the richest industry and history of the planet. They've used that money effectively to make sure that nothing happened. We've got to use in this case what we've got which is sometimes not just their data not just our arguments not just our politicians sometimes it's our bodies too. I think the way that we're going to have to think about all the this we're going to have to try and electrify everything that we possibly can and make it all to one degree or another the electricity sector because there's no real way to produce clean liquid fuels on any scale. But there is a way to produce clean electricity and solar panels or wind turbines. So, you know, if we can get a bunch of electric cars running not only will that use clean electricity their batteries will also provide the storage that transforms the grid.